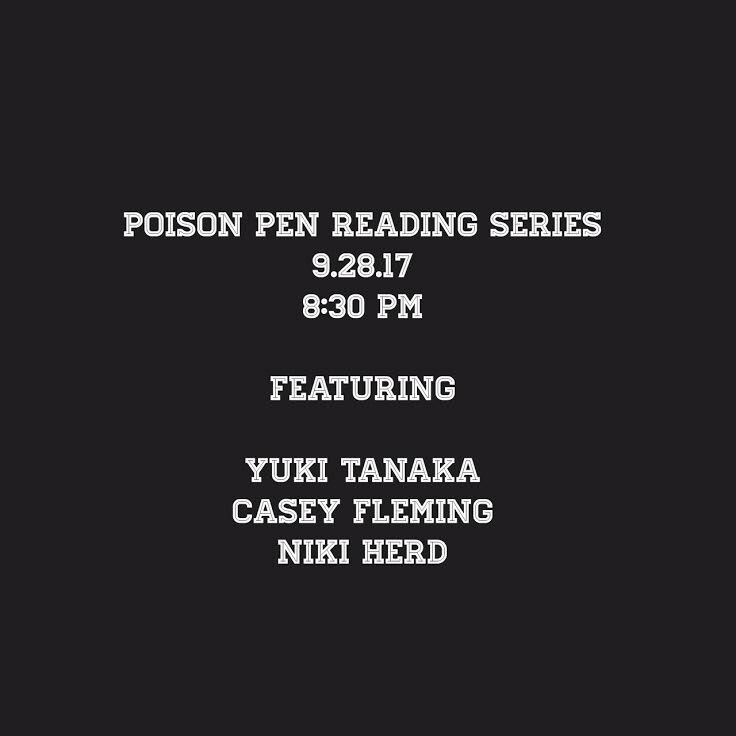 We’re excited to have Yuki Tanaka, a poet visiting H-town from Austin, and two amazing local writers, Casey Fleming and Niki Herd, associated with that dollface, the University of Houston – Creative Writing Program. Grab your friends and drink with us. Starts 8:30 p.m. Free. Except for the booze. Yuki Tanaka was born and raised in Yamaguchi, Japan. He is an MFA student at the Michener Center for Writers at the University of Texas, Austin. Casey Fleming is a writer and teacher in Houston, TX where she co-founded the Poison Pen Reading Series. Her work – fiction and nonfiction – has appeared in the Houston Chronicle, Sojourners Magazine, Fourth Genre, Gulf Coast, Sugar & Rice, and Literary Mama, among other print and online publications. She writes regularly at (Non)Secular Girl and teaches English at The Kinkaid School. Niki Herd grew up in Cleveland and earned degrees in Creative Writing from the University of Arizona and Antioch University. Nominated twice for a Pushcart Prize, she is the recipient of fellowships from Cave Canem and the Virginia Center for the Creative Arts. Her work has been supported by the Astraea Foundation and the DC Commission on the Arts, and has appeared in several journals and anthologies including Feminist Formations, North American Review, The Feminist Wire, Split This Rock, and Resisting Arrest: Poems to Stretch the Sky. Her debut collection of poems, The Language of Shedding Skin, was published as part of Main Street Rag’s Editor’s Select Series. She has spent the last five years living in Washington, DC.